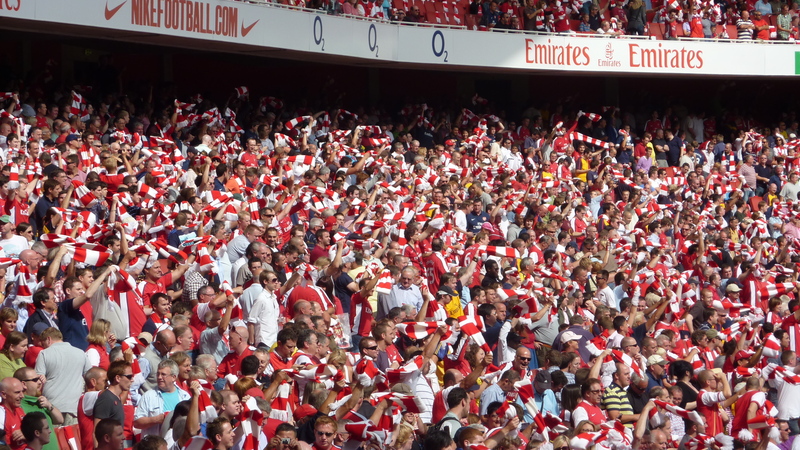 We Arsenal fans have a pretty simple relationship with those who wear the red and white. 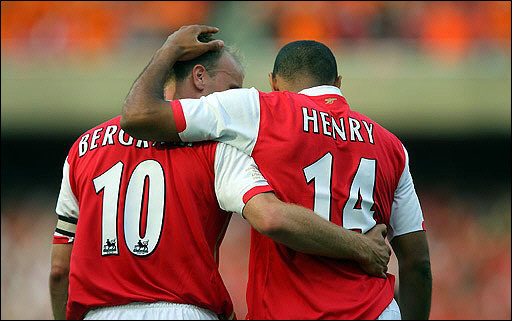 Work your socks off, and whether you’re Dennis Bergkamp or John Jensen, you’ll gain our respect. Leave on good terms and you’ll be welcomed back a hero. Join Tottenham Hotspur and you’re pretty much dead to us. Well alright, that’s not necessarily true. But we won’t like you very much. It’s certainly not something many players dare do, but as the North London derby rapidly approaches an interesting novelty looks set to play out. For the first time in the history of the capital’s most fearsome football rivalry, two former Arsenal players could line-up next to each other in the same Spurs side. Obviously this is in part dependant on Emmanuel Adebayor’s ego not falling foul of ‘Arry’s whimsical management style and more pertinently on William Gallas recovering from a calf strain (some things never change), but it’s an interesting potential scenario all the same. 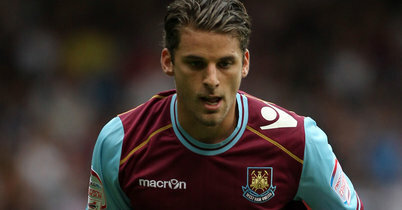 Indeed if it was it wasn’t for the fact that David Bentley’s rollercoaster career trajectory has seen him sent on loan to the Championship, there could have been a hat-trick of ex-Arsenal targets for bloodthirsty travelling Gooners to bait this Sunday. Three! Can you imagine? In total only seven players who have played for the Gunners in a competitive match have gone on to play for Tottenham, while nine have featured first for Spurs then Arsenal. Of the sixteen who’ve pulled on jerseys at either end of the Seven Sisters Road, seven have played one or more North London derby games for both sides. 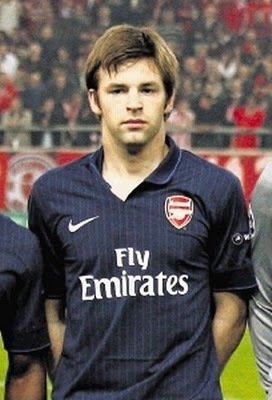 The first man to leave Arsenal for Tottenham represents arguably the most fascinating case of all. Having signed for the Gunners in 1923 the wonderfully named Jimmy Brain scored the winning goal on his debut against – you guessed it – Spurs, before making a further 231 appearances in eight years, scoring 139 goals in total. Level with Ted Drake as Arsenal’s fifth highest scorer of all time his standing in the Gunners’ pantheon of greats remains undiminished despite a three year jaunt with Spurs for whom he scored ten goals. He’s being let off the hook predominantly because the transfer fee of £2500, for a then 31-year-old, probably translates to about £15 million these days – the type of deal a certain Frenchman continues to lick his lips at. Outside the Arsene Wenger era only two further players have made their way from Highbury to White Hart Lane. 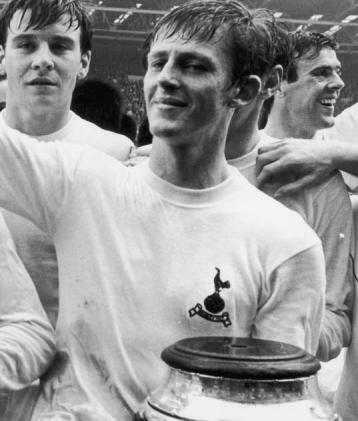 In 1964 Laurie Brown moved to Spurs for a £40,000 fee and, in another of those tasty nuances of history, was immediately pitted against his old club on his debut. He apparently nearly scored as well, something I’m sure his former supporters would not have appreciated. 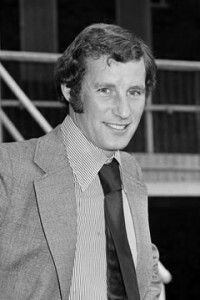 While Brown’s move proved run-of-the-mill, the most unique bit of business agreed between the two clubs, was the 1968 swap deal which saw Arsenal’s David Jenkins trade places with Tottenham’s Jimmy Robertson. Although neither man set the world alight at their new clubs, Robertson retains a place in the history books as the only player in the history of the North London derby to score for both parties; a record Emmanuel Adebayor will be aiming to match on Sunday. Cue collective shuddering at what feels like an inevitability. Ignoring the unusual Clive Allen situation of the early eighties, it was a full 34 years before another Arsenal man pulled on a Spurs shirt. 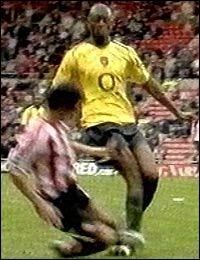 In 2002, having made only one appearance against Manchester United in the League Cup, Rohan Ricketts quit the Gunners for life under Glenn Hoddle’s stewardship. While he didn’t feature in his first season the nippy midfielder went on to be a regular at the Lane in 2003/04, impressing enough to earn an England call-up. Unfortunately, for Ricketts his progress was stunted after the sacking of Hoddle with both Jacques Santini and Martin Jol sending him out on loan. Since 2005 he’s played all over the world for eight different clubs and last night returned to White Hart Lane with Shamrock Rovers in the Europa League, albeit as a substitute. So that’s seven ‘villains’ briefly chronicled, but what about the heroic nine who found the strength to unshackle themselves from the misery of life in N17? In the thirties George Hunt ripped the cockerel from his chest, in the forties it was Freddie Cox lured by the red and white, while Vic Groves kept up the once a decade trend in the fifties. We’ve already touched upon Jimmy Robertson’s switch in the late sixties, but it was in the seventies that a flurry of transfer activity saw four more men make the switch. 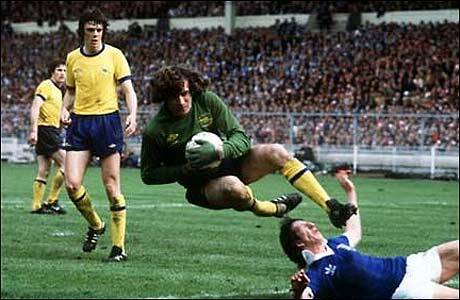 It was all down to the influence of Terry Neill. The former Northern Ireland centre-back played for the Gunners for eleven years between 1959-1970, succeeded Bill Nicholson as Spurs manager in 1974, then redeemed himself by becoming the youngest coach in Arsenal’s history by moving back to Highbury in 1976, aged just 34. Having built close working relationships with Steve Walford, Willie Young and goalkeeper Pat Jennings while at White Hart Lane, Neill instructed then chairman Denis Hill-Wood to snap up the trio in 1977. 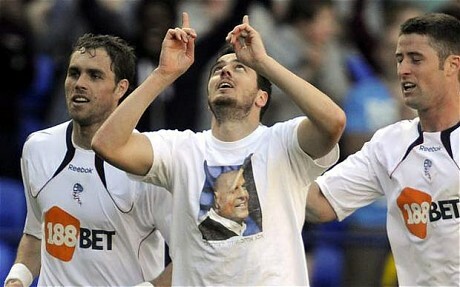 A year later they were joined by Kevin Stead who also moved from Spurs. 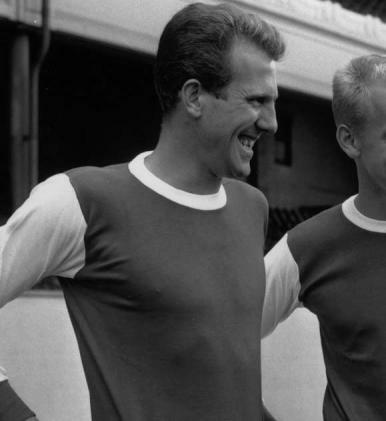 Of the four men it was ‘Big Willie’ and ‘Super Pat’ who made the biggest impression betwixt the hallowed halls of Highbury. Playing together in three FA Cup finals and the Cup Winners’ Cup final against Valencia between 1978-80, they deservedly earned fan favourite status despite only picking up one medal in the 1979 ‘five minute’ FA Cup Final against Manchester United. Despite retiring from top flight domestic action in 1985, Jennings actually returned again to Spurs for another year where he played reserve team football in a bid to maintain his fitness ahead of Northern Ireland’s 1986 World Cup campaign. He ended up playing his final game in Guadalajara, Mexico in a 3-0 defeat against Brazil at the grand old age of 41. Arsenal fans had to wait until 2001 for another chance to laud it over their Spurs counterparts in the transfer market; but my word was the wait worth it. 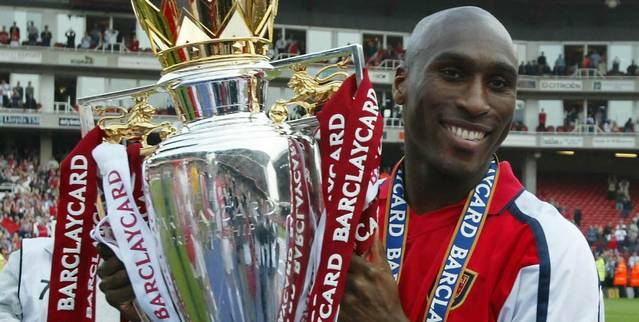 When Sol Campbell opted to run down his contract at White Hart Lane, spurned the advances of Barcelona and signed a long-term contract at Arsenal, it represented a momentous coup for Arsene Wenger. That his new defender helped the side to the Double in his first season and then formed the backbone of the ‘Invincibles’ side of 2003/04 made it all the more delicious for the North Bank faithful. Effigies were burned, abuse was hurled, death threats issued and yet, if you ask Campbell whether he regrets his decision I’m sure he’d just point to the two league titles and three FA Cup medals picked up in five seasons and shrug his shoulders. As the Terry Neill case demonstrated, the border crossing hasn’t been limited to player transfers. Despite the Gunners marketing department rightly lauding Herbert Chapman’s achievements at Highbury, it is worth noting that the legendary manager played two seasons between 1905-1907 as an amateur player at Spurs. Writing in his ‘Reflections on Football’ the great man even reveals he scored a brace in his final ever appearance as a Tottenham man before agreeing to take over as player-manager at Northampton Town. It wasn’t until 1925 he took over the managerial responsibilities on Avenell Road. Joe Hulme, who played for six of his twelve years at Arsenal under Chapman’s guidance, also dallied with both clubs. Becoming Spurs boss in 1945 he spent four years in the dugout at White Hart Lane laying down the foundations on which Arthur Rowe built his 1951 Division One championship squad. Last but not least, George Graham was notoriously handed the managerial reins at Tottenham in 1998 just three years after his sacking from the same post at Arsenal. A hugely unpopular choice amongst the Spurs die-hards he lasted only three seasons despite winning the League Cup. 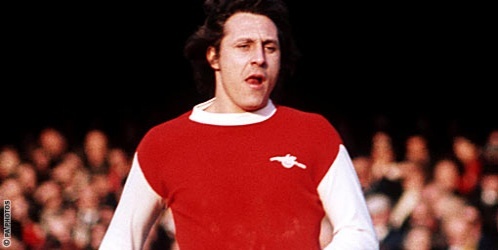 Apparently, having spent fifteen years dedicating himself to the Arsenal cause, winning the League on White Hart Lane territory in 1971 and ushering in a lengthy period of Gooner dominance during the late eighties and nineties proved too much for them to swallow! *Follow Andrew on Twitter @AAllenSport and check out his fantastic website ‘When We Were Heroes’, as well as his work for Arseblog News. Well that was a somewhat scrappy win last night all in all but the important thing is, it was a win. That’s three on the spin now. The last time we put together a run like this was the six game period between January 15th and February 1st when we beat West Ham, Leeds, Wigan, Ipswich, Huddersfield & Everton. So in some ways you could say that we are starting to find a little form, but given the fact that defensively we look as suspicious as David Pleat on a walk through Soho so you also expect that form to dissipate at any time. Judging by the sides he has put out in our last two games against the Greek Champions you have to wonder if Wenger rates them very much, in fact by the time we travel to Piraeus in early December we could see a second string fielded, if qualification to the knock out round has been secured. 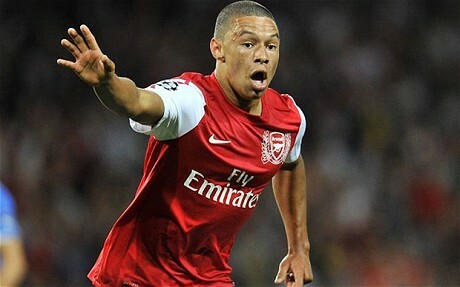 The game started well with Arsenal taking an early lead thanks to Oxlade-Chamberlain. The youngster was making his European bow last night and it took him a mere eight minutes to over take Theo Walcott as not only the clubs youngest ever scorer in European club footballs glamour competition but also the youngest ever Englishman. AOC took a pas from Alex Song on his chest, he cut inside and managed to keep possession before cutting back in and firing a low shot through a defenders legs and into the back of the onion bag. Quite what Theo Walcott would have made of seeing someone cut inside with the ball and unleashing a shoot we just don’t know, but hopefully he’ll have made a mental note of trying to replicate the technique upon his return from injury. It may have been all the excitement or it may have just been typical Arsenal but within minutes Olympiacos had a great chance to Pegg us back but thanks to a Mickey Arteta goal line clearance we kept our lead. What was pleasing about it was seeing the Spaniard following the traction of the ball, he moved along the goal line following the play thus meaning he was in the right place at the right time. All to often have we seen players stand static as if glued to the post at times like that. 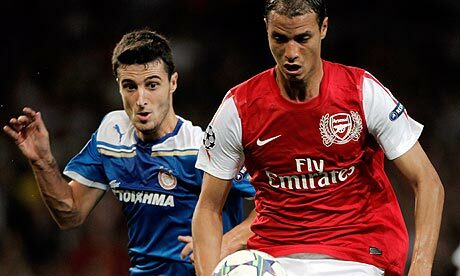 Arsenal regained their composure and started to take look as if they would get a foot hold in the game. With just twenty minutes on the clock Andy Santos put us two goals to the good. Rosicky played the ball to the Brazilian who sprinted with it at his feet down the line before squaring for Chamakh. The Morroccan saw the ball blocked by an Oly defender and ping back towards Santos who stepped over the obstacle of an opponent who had gone to ground and fired in with his weaker right foot. 2-0 and we were maybe all preparing ourselves to see the Greek side collapse like their national economy. Well the Greeks are obviously able to spot disorganisation from a mile away thanks to their country’s financial turmoil and rather than sporting ly bailing us out and letting us off the hook they decided to take advantage of our ramshackled attempts of defending from a set piece. From a corner David Fuster was left totally unmarked and whilst his leap and header were certainly impressive, the fact that no one was on hand to even attempt to pick him up was not so. Two goals to one and you got the impression that the Greek side sensed a come back was not impossible. We held out until half time, but it was far from pretty. The second half saw a marked improvement in our performance, especially at the back. 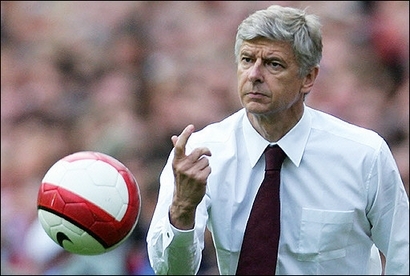 Pat Rice, once again deputising for the suspended Arsene Wenger, must have given them a kick up the arse at half time. That said, Olympiacos certainly had chances to level the scoring. Our centre back pairing of Mertesacker & Song looked as impressive as any of the pairings we have seen this season at the back, neither made any false moves or suffered any mind farts. I’m not sure I’ll be too pleased to have to start with the pair alongside each other on Sunday but if that is the case then their second half performance should give them a morale boost. Fairly late on RVP replaced Chamakh and I have to say that I thought that the much maligned Moroccan had his best game in an Arsenal shirt for a long while. Much of what he tried didn’t come off but he kept trying, his head didn’t drop and you at least knew he was taking part in the game. If he continues like that goals will come, he is looking sharper and just needs the shot in the arm finding the back of the net would be. So we held out for our first three points of this Champions League campaign and we;ve now got a few days to rest and work on our defending from set pieces before the derby on Sunday. With that game in mind let me tease you with the news that we have a fantastic guest writer tomorrow who has put together something that will really whet our appetites ahead of that game against our local rivals. Do not miss it. Thanks for reading – I’ll next be posting on Sunday morning due to a stag weekend in Edinburgh. I’m already envisioning that I’ll be doing so from the comfort of my bed in some Scottish hotel room whilst in a very alcohol educed fragile state, so apologies in advance if all it consists of is the ramblings and complaints of a drunkard. Tonight we see the return of European football to the grove as Greek Super League champions Olympiacos are the first of our group F opponents to visit London. 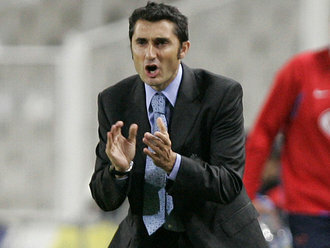 The last time we faced Ernesto Valverde’s side was during the 2009/10 season – Valverde wasn’t at the helm of Erythrolefki at the time, having lead the side to the Greek double the previous season, his first at the club, his contract was not renewed after he found himself on the wrong side of a financial dispute at board level. 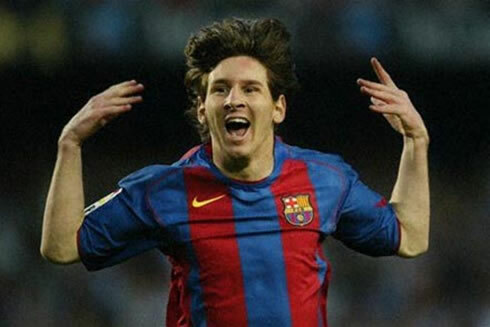 The Spaniard moved to Villareal where he replaced Real Madrid bound Manuel Pellegrini on a one year deal, however Valverde could not replicate the success the Chilean had enjoyed at El Madrigal and after suffering an embarrassing 0-2 home defeat at the hands of Osasuna he was torpedoed by the yellow submarines. By August of the same year he was back in Piraeus and once again led Greece’s most successful club side to yet another league championship. During that last encounter between the two sides Olympiacos enjoyed a rare victory over English opposition winning the game 1-0 thanks to a goal from Leonardo. It was our final group fixture of that seasons competition and with qualification to the next round already secured, after the Gunners had won group H, Arsene Wenger fielded a side made up of reserve and youth team players. Mikael Silvestre captained the side out in Greece that night in a back four that also included Kerra Gilbert, Kyle Bartley and Thomas Cruise. Francis Coquelin was an unused sub that night and young Franny could find himself in the starting line up for tonight’s clash. During his press conference yesterday Wenger revealed that Laurent Koscielny, Gervinho and Theo Walcott would all miss the game having joined Abou Diaby, Jack Wilshere, Thomas Vermaelen, Johan Djourou, Sebastian Squillaci and Yossi Benayoun in the treatment room. Even young centre half Iggy Miquel picked up a knock during the warm up prior to the reserves 1-0 win over Blackburn at Underhill on Monday night. So all in all we’re incredibly thin on the ground when it comes to the centre of our defence. It’s likely that we’ll see Alex Song step in alongside Per Mertesacker at centre half, it’s a position the Cameroon international is familiar with and whilst we have to hope he won’t be required to play there at White Hart Lane on Sunday I would expect him to cope with any threat the Greeks may pose. I must admit, casting an eye over the Olympiacos squad list there are very few names I recognise. 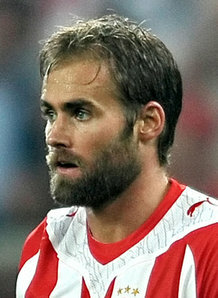 The one that immediately catches the eye is Olof Mellberg, the former Aston Villa defender and first player to score a competitive goal at the Emirates. Aside from the Swede there are very few players I am familiar with, Jean II Makoun is on loan from Villa and may well face his compatriot Alex Song. Wenger will once again have to choose between Kieran Gibbs and Andy Santos at left back, personally I would like to see the Englishman continue from where he left off against Bolton on Saturday. With our back line already disrupted by Koscielny’s absence it would seem somewhat negligent to force another change in that area after Saturdays clean sheet. So with Song taking up central defensive duties instead of defensive midfield there is yet another decision for le gaffer to take, who deputises for the Cameroonian, Franny Coquelin or Manny Frimpong? I think that over the past few weeks the Frenchman may have edged in front of his Ghanaian team-mate in this particular race. He was something of a bright spark when he made his debut in the crushing dark of Old Trafford and was pipped to the man of the match award in last weeks league cup win over Shrewsbury Town by an outstanding second half display from Alex Oxlade-Chamberlain. So for my money it would be Franny making up a midfield three alongside Mickey Arteta and Aaron Ramsey. Up top Arsenal goal scoring centurion Robin Van Persie will again lead the line as well as captain the side and along with Andrey Arshavin I would like to see the skipper flanked by AOC ahead of Thomas Rosicky. I think the young Englishman would relish the opportunity to take on the Olympiacos defence and would pose more of a threat than the Czech. Also with Theo & Gervinho both unavailable we’re a little light on pace, again something The Ox has in spades unlike Tommy. 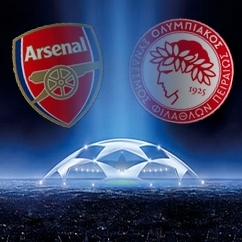 A starting XI of: Szczesny – Sagna – Mertesacker – Song – Gibbs – Coquelin – Arteta – Ramsey – Oxlade-Chamberlain – Van Persie – Arshavin would be my choice and should have the ability to see off the Greek champions and claim our first three European points of the season. Due to our defensive depletion expect to see Daniel Boateng on the bench just 48 hours after completing ninety minutes for the reserves, and he may not be the only one in the dug out to have done so. Of course Arsene won’t be down there with them as he sees out his touchline ban. It should certainly be a good game, the Greeks will try to get at us as much as possible and their support will no doubt make themselves heard across north London. The one big hope I have, aside from three points, is that we don’t suffer any further injuries. This is certainly a game we need to win but with the first NLD of the season barring down on us we can ill afford to lose anyone else. Enjoy the game wherever you’re watching it and I’ll be back in the morning with a post match report. 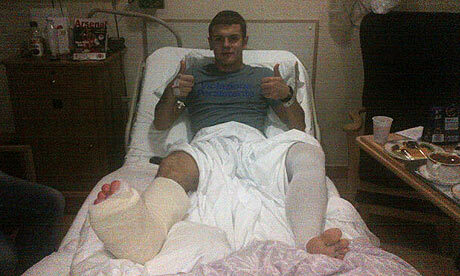 So Jack Wilshere went under the knife yesterday in an attempt to repair the stress fracture to his right ankle. We obviously all knew that this operation was coming as young Jack himself had Tweeted about it on the weekend. It had been hoped that the fracture would heal itself whilst encased in the protective boot the lad has been sporting since the season started, but sadly it was ultimately deemed that surgery was necessary. From Jack’s Tweets and the clubs statement it would appear that the operation has been a success, or at least as far as anyone can tell at this early stage – including the two ‘world renowned surgeons’ who performed the procedure. The recovery period has been set at four or five months, so at best the player could return to training at the end of January, although some newspapers seem to be suggesting this morning that we may not see Jack again until April or even next season. There is no doubt that this is a massive blow, as well as a sign for those who believe we are injury cursed. What is without any doubt is the impact the youngster had last year, which was his debut season. 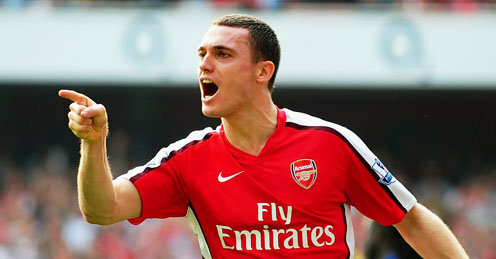 It has all the hallmarks of Tommy Vermaelen doesn’t it – comes in and straight away he looks as if he has been in the Arsenal first XI all his life, come the following season he suffers what is initially foreseen as an innocuous knock which eventually requires surgery and costs the player a whole season of his career. It’s so frustrating for us as fans to see players unable to perform their most primary function, especially when they have quickly become fans favourites like Jack & Tommy. But of course the important thing is that the right steps are taken with regards Jack’s treatment and that when he does return he suffers no ill effects or picks up little niggles here and there. He obviously has a very long footballing future ahead of him so whilst it’s disappointing, for him especially, to miss this much football so early on its impportant to consider that most important is his longterm prospects. The onus, somewhat ironically after his own recovery from the injury inflicted upon him by Shawcross, falls perhaps to Aaron Ramsey. But as I’ve said before, he and Jack are not the same type of player and we shouldn’t expect the Welshman to fill anyone’s boots but his own. Also just as important is not trying to squeeze too much out of young Rambo this season less we see him burn out. I’m not ultimately putting the blame for Jack’s current plight on Wengers shoulders but he himself has admitted that the midfielder was over used last season. So all of this has to open doors for other players. I’ve already seen Abou Diaby’s name be bandied about by many Gooners. The Frenchman is expected to return from injury after the upcoming international break but I’ve two bones to pick with the perception of him being billed as some sort of saviour. Firstly you wouldn’t bet against him either suffering a set back between now and our game with Sunderland on October 16th or indeed soon after any playing return. Secondly, I know many disagree but I just don’t think he’ll ever perform to the standards that he seems capable of or indeed showed in flashes before that challenge by Dan Smith against the Mackems at the Stadium of Light back in his debut season of 2005/06 which led to a nine month absence for the then nineteen year old. I would love to see him fulfill all of his early promise and if he could come in and do that whilst Jack recuperates then even better but I think ultimately the door is now open to both Emmanuel Frimpong and Franny Coquelin to stake their claims for more regular first team action. I don’t see that meaning starting births for either of the young midfielders, but they’ve both shown signs, when given first team opportunities, that they are capable of performing at this level. There is no making up for the loss of Jack, he is almost a one of a kind and we miss him, but when you look at the players we have in midfield then we should certainly be able to make do whilst he mends. Fingers crossed that it’s a full and speedy return to action. I imagine by now you’ve seen highlights, read varying match reports etc relating to our victory over Bolton Wanderers so don’t need me to cover old ground. Essentially the key elements of the game were – We won. We kept a clean sheet. We didn’t have anyone sent off. 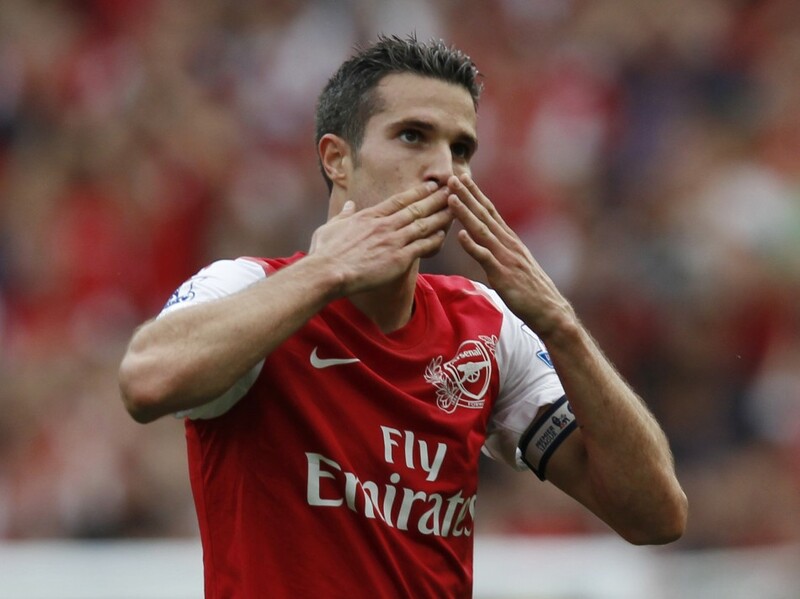 Robin Van Persie scored his 99th & 100th goals for the Arsenal. As the title of this post suggests the hot-shot Dutchman is the focus of today’s article. It should come as no surprise to anyone that Robin has joined the ‘100 Club’ and the achievement should not be taken lightly. Look at the company he keeps in that list of seventeen Arsenal legends who have scored one hundred goals or more in the red & white, Joe Baker, Alan Smith, Denis Bergkamp, John Radford, Cliff Bastin, Ian Wright and Thierry Henry to name but a few. We don’t take the achievements of any these goal scorers lightly and each and everyone have left their mark on the club and will be long remembered and hero worshiped by us Gooners, even if we never saw them play. Eleven of the seventeen men who have hit a ton did so before I was born but I hold them in as high regard as I do Smudger, Wrighty, Denis & Henry (as footballers at least). We certainly shouldn’t think any less of Robin or dismiss his century, the fact that he achieved this feat as Arsenal Captain affords him even more kudos. It seems that the legends of football heroes can be built up long after a player has hung up his boots and in modern terms some players can be labelled heroes and legends without having done very much to deserve it. That kind of comparison will be dismissed by some, but maybe should not be done so too easily. They are of course very different players particularly the roles the two men play for their respective clubs. Personally I would love to see Robin play a similar role to Messi or indeed be utilised in the kind of partnership that saw Bergkamp and Henry flourish at Highbury. Whilst RVP continues to prove he could replicate his fellow Dutchman it’s the role of record goalscorer Thierry Henry that would be much harder to fill, Theo did his chances no good whatsoever on Saturday. Robin in the traditional number 10 role could be wondrous, although the player himself has suggested he see’s himself more as a nine and a half. Whilst Van Perise currently sits in 17th place in the hot 100 he could, form and fitness permitting, make it into the top ten by seasons end. 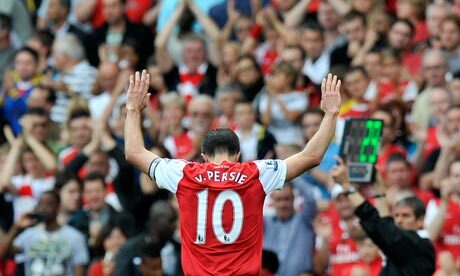 He needs just a further twenty-one goals to surpass Bergkamp. Much of the focus this morning has moved away from Robin’s on field exploits and is highlighting his apparent reluctance to sit down and sign a new deal with the club, but it is worth considering that the player is currently 28 years old, if he signs a new three our four-year deal to add to the two years he currently has left to run then you have to start wondering just how far up that scoring chart he can get – another 86 and he passes Wrighty and nabs second place. I would imagine that bagging another one hundred and twenty-seven thus eclipsing Thiery Henry may be beyond him but you’ve got to have something to aim for right? There are two things that are now imperative with Robin, we have to keep him fit and we have to get that new deal agreed. To do the latter we have to show him that committing to the club and signing what will most likely be his last big deal would not be a mistake. So we need to be competing, we need everyone to show the same spirit and fight he did on Saturday and continues to do so every week. He still has another six years, at least, left at the top and that could well mean that his best days are yet to come, to see him enjoy those in the colours of any side other than the Arsenal would be a tragedy, because he is now a true Arsenal legend. Well there is bad news to start the day off with. Late last night it was revealed by the Arsenal that Jack Wilshere will have to undergo surgery on his right ankle and will be out for a period of “months”. The player himself used his Twitter page to confirm the news and suggest that he hopes to return to action around Christmas time. This is no doubt a massive blow for the team and young Jack, the bone hasn’t healed whilst in the protective boot he has been wearing for the last month or so and the club have decided that now is the time to take further action in the shape of surgery. It’s very disappointing news but we have to think of Jack’s long term future and this needs to be dealt with correctly and if this operation proves to be just that then it’s surely for the best. Considering that Jack has only played one full season of first team football with the Gunners, after a brief loan spell at today’s opponents Bolton, we’ve really missed his tenacity in midfield this season. The sooner we can have that desire and drive back in the side the better and I wish Jack well in his continued recovery. At least it gives him more time to listen to the whole Michael Bolton back catalogue. So, today see’s Owen Coyle’s Bolton Wanderers visit the Emirates. In league terms the Trotters are having a sorrier time of things then we are at the moment (just), in fact their poor run of form can be traced back to our previous encounter at the Reebok at the end of last season. Tamir Cohen’s last-minute header, which was celebrated with emotional scenes as the defender revealed a t-shirt commemorating his late father Avi, left the gunners nine points behind leaders and eventual champions Manchester United with four games left to play while Bolton were themselves flying high in eighth place and seemingly pushing to end the season with Europa League football to look forward to. That victory, which all but ended our title chances, was somewhat of a bright spot for Bolton in their end of season darkness. Their previous fixture had seen them go down five goals to zero against Stoke City Rugby Football Club in their FA Cup Semi-Final at Wembley and Coyle’s sides final five league games, which followed that win against us, all ended in defeats. While the opening game of this season saw the Lancashire side get back to winning ways with a 4-0 hammering of newly promoted Queens Park Rangers they have since seen their league form continue in the same vein as it ended last season. Four defeats in four, including a home defeat at the hands of Norwich City last weekend, has seen the sweet taste of victory being confined to the Carling Cup – the second round elimination of Macclesfield and Tuesday nights 0-2 victory at Villa Park. So in their last fourteen games since, and including, that FA Cup humiliation the Trotters have won only four times and have been beaten in the other ten games scoring eighteen goals and conceding thirty-two in the process. That run looks like this – LWLLLLLWLWLLLW. At any other time you would look at that and expect Bolton to arrive in London tomorrow and be little more than cannon fodder for the gunners but as we all know our own form is hardly that of a side you would back to win the contest. Since that late and currently familiar capitulation we’ve managed to win only five of our own fourteen games in all competitions. We’ve picked up four draws and been beaten no less than six times. In this period we’ve found the back of the net on nineteen occasions yet we’ve been forced to pick the ball out of the back of our own goal on no less than twenty-six, meaning our run only appears marginally better than this weeks opposition due to the addition of the letter ‘D’ – LWLLDDWLWLWDLW. What is clear is that whilst both sides have the ability to score goals we both also have a penchant for letting them in too, so on paper we should maybe expect this to be a high scoring encounter which would make for another great game for the neutral in which we compete. 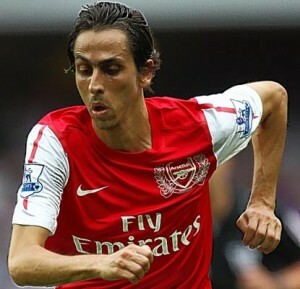 The team news is pretty much as expected, Yossi Benayoun is out with the ‘strain’ which he alluded to in his Tweet on Thursday (turns out it’s a thigh strain, not an eye strain from reading without sufficient light) and Johan Djourou misses out with a hamstring injury. Arsene Wenger has suggested that they may both be back for the North London Derby on October 2nd but will defiantly miss the Champions League clash with Olympiacos on Wednesday as well as this afternoons fixture. Tommy Rosicky is back in the squad whilst Bacary Sagna & Aaron Ramsey both came through fitness tests yesterday morning so are likely to start. It will be interesting to see who takes up the left back position, using our last two fixtures as a barometer I wouldn’t say there is much between Andy Santos and Kieran Gibbs who have each had a game to in which to state their case. I suspect Wenger might go with the Brazilian but I wouldn’t be confidant enough to put money on it. Alex Oxlade-Chamberlain may have done enough to win himself a place on the bench after his performance in the win over Shrewsbury earlier this week, similarly I think Franny Coquelin’s performance in the same game will see him take us a place amongst the subs ahead of Frimmers. Other than that I would have thought it will be very much as we were against Blackburn Rovers last weekend but with Theo coming in for Andrey Arshavin. Szczesny – Sagna – Mertz – Kozzer – Andy Santos – Song – Mickey – Rambo – Gervinho – Theo – RVP. Subs: Fabianski – Iggy – Gibbs – Franny – Arshavin – AOC – Chamakh. I think we’ll see a home win and the collection of three much-needed points, but I’m not sure it’ll be an easy victory. One thing I will guarantee is that Kevin Davies will be booked – the lumbering forward has collected a total of eleven bookings in games against us, that is more than any player against any one side in Premier League history. I’m really looking forward to the game, it’s a traditional three o’clock kick off and that always sits well with me. Enjoy it wherever you’re watching and if you happen to be up in the North Bank sat next to a guy who clearly needs a shave then chances are it’ll either be me or a tramp who has somehow managed to get into the ground. 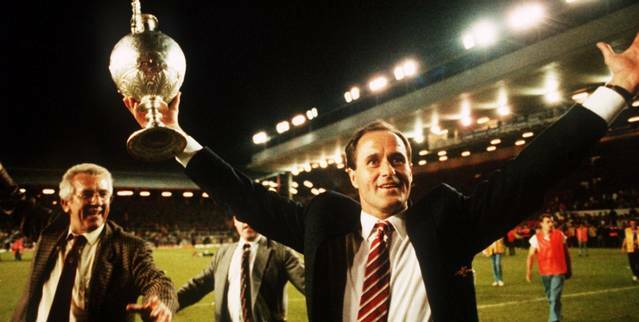 It’s difficult to believe that any club fighting its way to wining the league championship would ever take the opinion that everyone is against them but during the 1990/91 old Division One season that is exactly what George Graham instilled in his players – A solid belief that no one wanted to see the Arsenal crowned league champions for the second time in three seasons, that the national press were against them because “Nothing ever comes out of Highbury“, the Football Association were against them having fined the club £50,00 and two precious points for their part in the brawl that took place at Old Trafford in the October of that campaign. 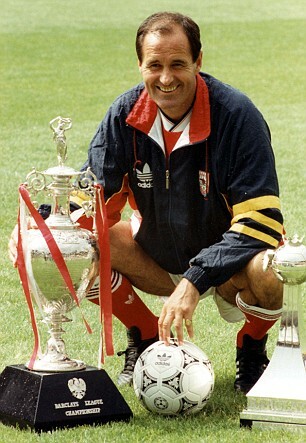 George even went so far as to suggest that the fans were not fully behind the team and in his famous teamtalk at London Colney he reiterated to his players the importance of getting the fans on their side, he even assured the squad that he would play his part in this, that he would get the fans backing the team during their title run in. Having been at an age where the politics of football held little to no interest for me I can’t honestly say I vividly remember a feeling that we were coming under attack from all sides back then but from the ten thousand times I watched my VHS copy of the season review aptly titled ‘Champions‘ that defiance and felling that it was ‘us against them’ has always stuck with me. I think it’s safe to say that we’re unlikely to be crowned Premier League Champions this season and while the club have certainly helped stir the fans current irritation with price increases, transfer impotence, the teams poor form etc in recent months (I don’t want to go into too much detail less I defeat my own purpose here) and as a collective we do certainly have a belief that the written press and outlets such as Sky Sports News are against us. That they’re ready and willing to pick up the tiniest of sticks and prod poke and beat us with them. But more often than not we’re assured by our perceived detractors that this simply isn’t true and we’re paranoid (Usually at the foot of an article laying into our inability to do anything but the opposite of all they implore us as a club to do). We all know that as a public speaker Ivan is somewhat silver-tongued, it’s a natural environment for the former Deputy commissioner of the MLS. 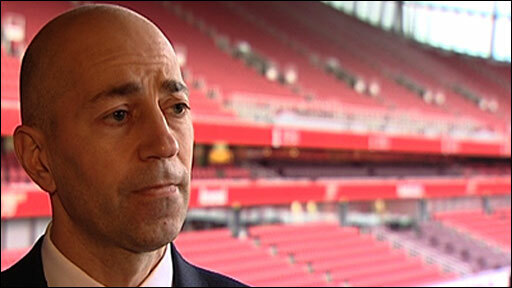 W also know that behind the scenes he is frustrated by the hammering the club is getting from all directions and whilst he may have similar views to the rest of us when it comes to expenditure on playing staff and some of Wenger’s methods he is, professionally at least, a company man and wouldn’t be earning his crust if he didn’t attempt to dampen the fire and get the clubs PR reputation back on track. 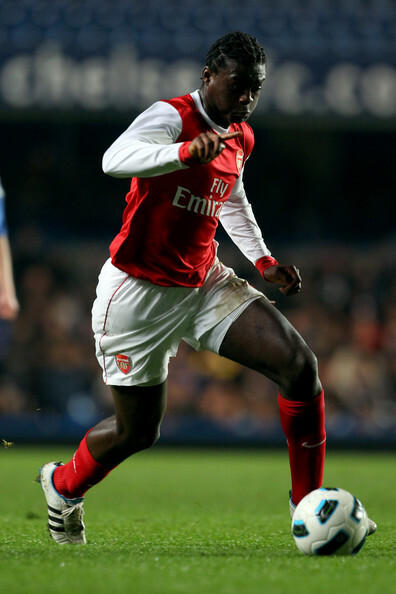 It may have been an odd thing to say but I quite liked his defence of Wenger when he said – “He’s not broken. To see him portrayed as some kind of idiot is damaging to the game“. Maybe it’s not what Ivan meant but for us all to now round on Wenger and portray him as some kind of fool in the way that Steve Howard would (and does) after all he achieved in the game is somewhat shortsighted and in an age where anyone and everyone in a position of responsibility at football clubs is only a poor performance away from the dole queue it is important for the game that those with the reputation and longevity of Wenger, Ferguson and the like is giving lesser mortals less than a cat in hells chance of getting anywhere near the types of career those two have had. Then is now doubt that the club was going on the defensive in the media at a time when we’ve been unable to do so on the pitch. It was all very batten down the hatches and keep the enemy at the gates, but it wasn’t overly doing much to win over the fans.That coup de grace came yesterday. On Wednesday morning The Sun newspaper ran a story on it’s back page which suggested that the perceived poor attendance at the Emirates on Tuesday night was the fans making it known to Wenger, Gazidis, Kroeke and the world that they were unhappy. Coupled with an almost full page picture of empty Emirates seats “journalist” Charlie Wyett mocked the attendance figure of 46,539 for a league cup third round fixture against a side that is three divisions below us. True it was the lowest attendance the clubs new home has ever seen but the paper seemed unwilling to level this against other attendance figures such as Manchester City’s paltry 44,026 at the United Stadium last week for their first ever UEFA champions League game against Italian side Napoli. They didn’t mention that more fans had attended our fixture on a Tuesday night then were in attendance for Tottenham’s Premier league win over Liverpool on Sunday lunch time. Now Wyett & Co were content to dismiss our attendance figure as little more than laughable and yesterday the club stuck two fingers up at them with the release of not only a thank you to the fans for their support at the game but also the attendance figures for every Carling Cup game played this week and a selection of last weekends Premier League games to. This was the clubs best bit of PR in a long time and it was fantastic. It certainly got the backing of the fans and has produced a little of that ‘us against them’ spirit. Wenger has told his players that it is their responsibility to lead the crowd not the other way home and I hope we see that in our game against Bolton Wanderers tomorrow afternoon and that the fight back starts here.